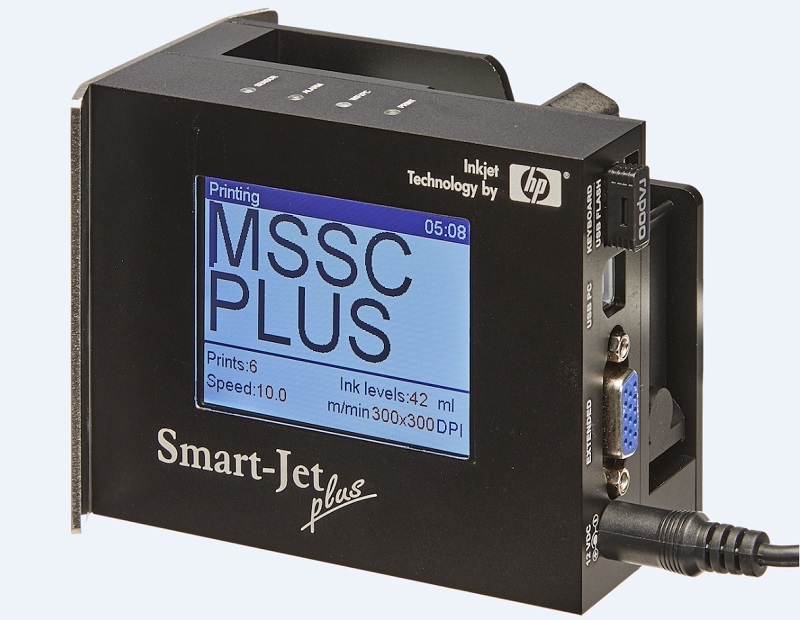 Smart Jet Inkjet Printer - 80000-PLUS Coder is compact, reliable and easy to use. 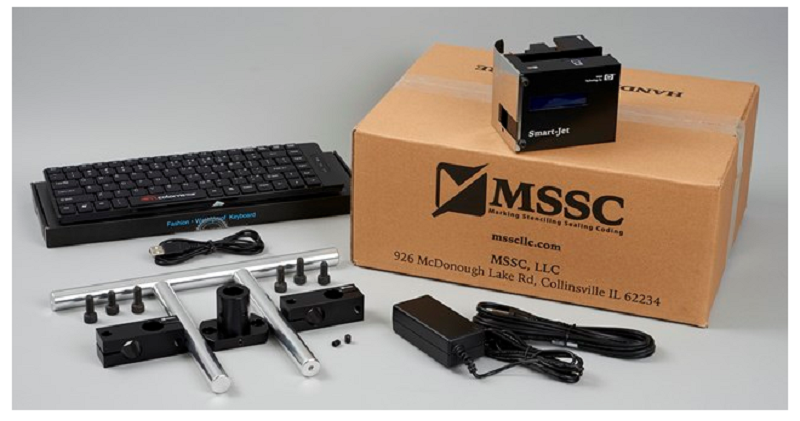 The MSSC Smart-Jet Inkjet Printer prints on both porous and non-porous surfaces and can print logos, QR codes and bar codes. The large display screen makes it easy to operate, which increases productivity. Click Here to Purchase Ink. This machine does not come with ink. Up to 6 Lines (1.69mm Font size must be used for 6 lines) Larger the font the this less lines available. 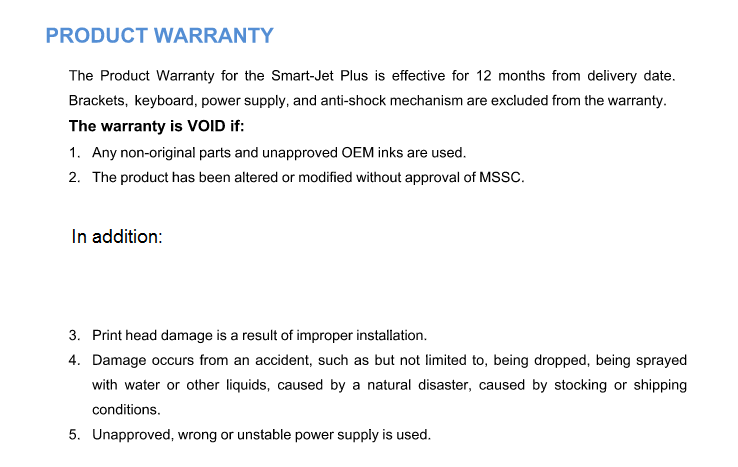 Porous and non-porous cartridges sold separately. 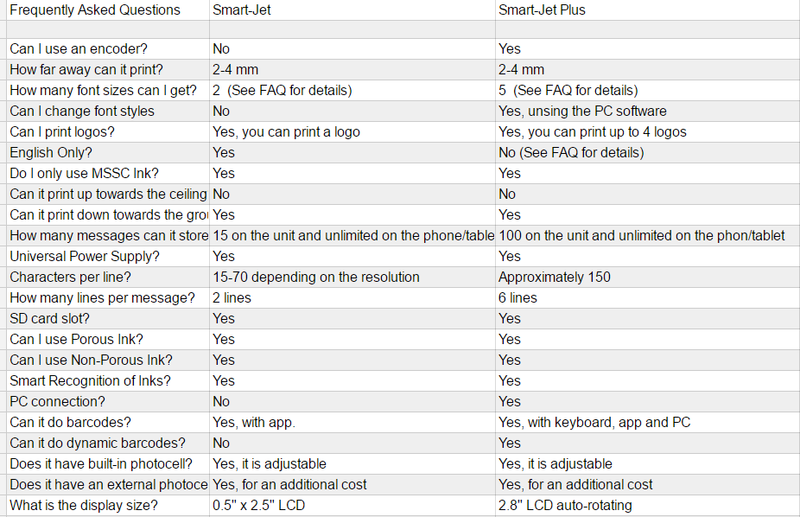 Smartphone and tablets devices in picture Not included. FREE GROUND SHIPPING with insurance, IN THE CONTINENTAL US. If you need your order expedited, call for quote. 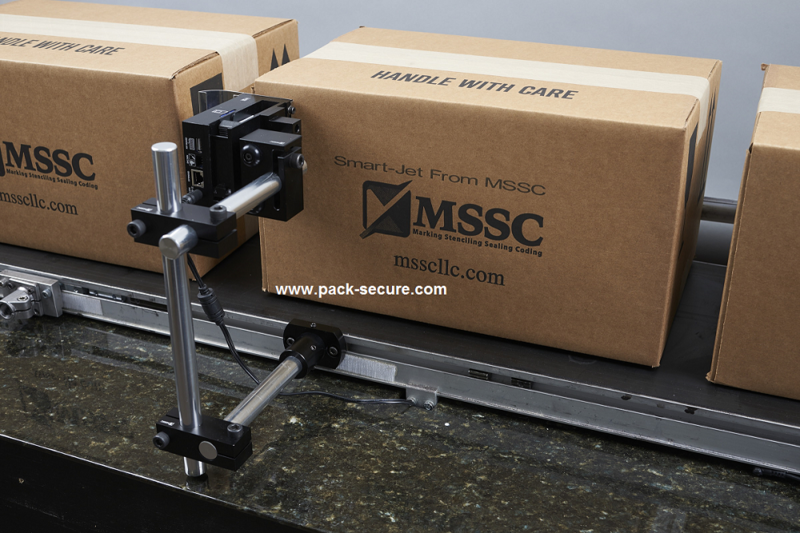 All Marsh orders shipping to Canada will incur an additional $75 manufacturer's handling fee. Please call to place orders shipping to Canada. This machine must be paid for by Federal Reserve Wire Transfer $25.00 fee for orders shipping to Canada. 1679 points will be rewarded to you when you buy this item. If your points show zero, make sure to select a product and points will be rewarded after checkout.